A COLORFUL FINISH SPRINT 2018! A glance into past performances shows that we have gone through an eventful time. After two years of intensive research in cooperation with the Vienna University of Technology, we have been able to successfully complete the FFG-Basisprogramm as well as our wireless monitoring project for civil engineering. In the course of this, we have designed a hardware prototype which helps us setting up a secure transmission protocol. In addition, we have been busy with developing a software architecture that ensures stable communication and transmission even with extreme energy efficiency and long range. But what’s more, we have eliminated redundancies and identified optimization potential in construction processes from A for Analysis and evaluation Algorithms over D for data security to S for System integration (Who even determined that the alphabet had to end with Z??). If you want to know more about this admittedly very extensive, technical topic, feel free to contact us personally. On the product side, the past year has even more shown us what our digitalization software can do and how much it is valued by our customers. Our SCALES platform has grown with the feature of ​​the jet-blast process – called SCALES.jetting. In addition, new features such as the multi chart mode in process management and the conditional styling of datasets make working even easier and are already among our most popular features. Autumn showers bring snow flowers – and a new office as well. 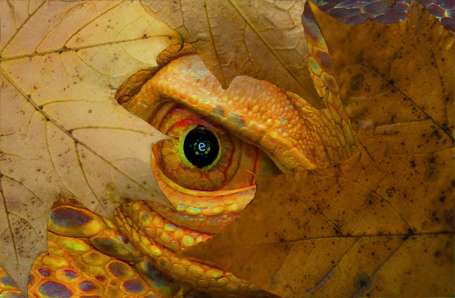 The eguana is perfectly adapted to its surroundings – even in autumn. As the leaves change color, we too are changing and starting the coming winter with new plans. First and foremost, we at eguana are in for a geographic change: after spending the past three years at the Frequentis startup center, it’s time for something new. 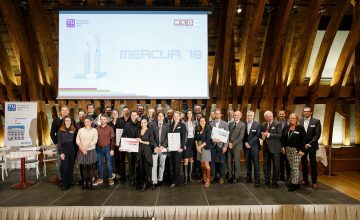 As nostalgically as we all look back to our first years, joy prevails that in early December we will move into our very own office in the Zieglergasse 3 in Vienna’s seventh district. 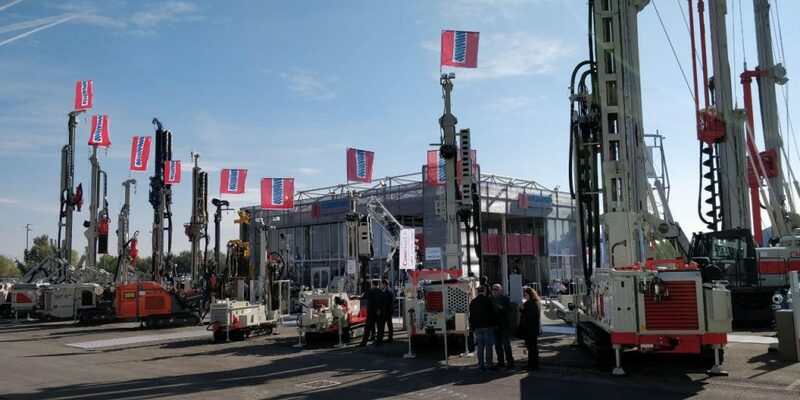 In the beginning of October, for example, we visited the international Geofluid in Piacenza, where more than 300 manufacturers from all over Europe presented the latest developments in instrumentation and measurement technology in special civil engineering. 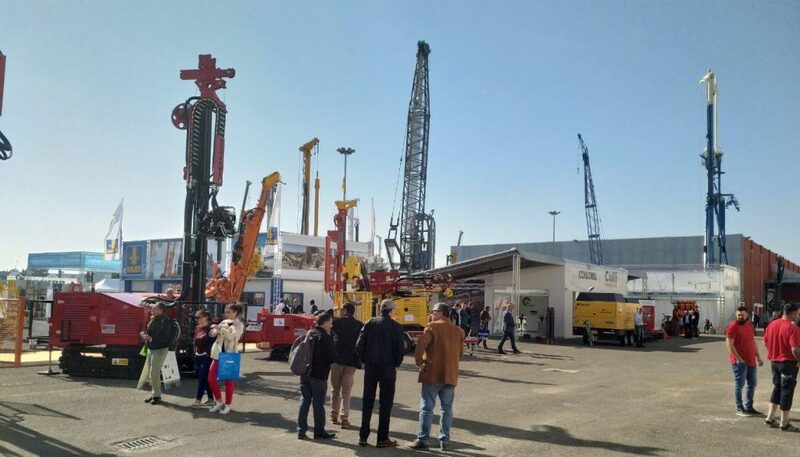 We were particularly impressed by the enormous power units which were displayed on the grounds of the Expo in Piacenza. Even more so exciting were the different concepts for digitization by various measurement and electronics developers, who, like us, have recognized the need for digitization and increasingly web-based solutions for your products. Their openness regarding interfaces and the desire to collaborate and advance the digital construction site has thrilled us. In summary: three days full of exciting products, interesting companies and extraordinary people – we are happy about many new contacts! Afterwards, we visited the 67th Geomechanics Colloquium of the ÖGG in Salzburg. This is a fixed date for us in such an eventful autumn. Here, the who is who of the special foundation engineering industry of the DACH region can interchange ideas and attend exciting lectures. We were particularly pleased to chat with former, current and future project partners as well as customers and to get to know them better in a relaxed environment, far away from the construction site or the negotiation room. Next up is the STUVA Forum Injektionstechnik in Cologne on November 21 & 22, where will give a presentation on Digital Documentation and Data Management in Injection Technology! Of course, the exact content is still top secret – no spoilers allowed. We would be delighted to personally meet an eager follower of this blog in Cologne. We are looking forward to a large audience following our presentation, as well as countless visitors to our stand. For those who do not have the time, you can download the complete flyer/information paper right here. In addition to these renowned events, we also attended a function of a very special kind: We are proud that the Institute for Interdisciplinary Construction Process Management has invited us to participate in the seminar “Construction Process Execution” as guest speakers. We were delighted about this opportunity to get in touch with young, innovative engineers, to bring them closer to our vision and to experience their keen interest. This experience has impressed us so much that we are planning to dedicate a blog post to this experience. Stay tuned, it will be worth it! Unlike the iguana, we do not go into hibernation – on the contrary. We are only getting started. Because one thing is guaranteed: with so much to do, we will not cool down even with falling temperatures!